Lindsay Silverman, a senior technical manager at Nikon, pointed me to a great spot on Nikon USA’s website with a ton of articles to improve your skills with a digital SLR camera. If you’re frustrated or need some inspiration, check it out here. 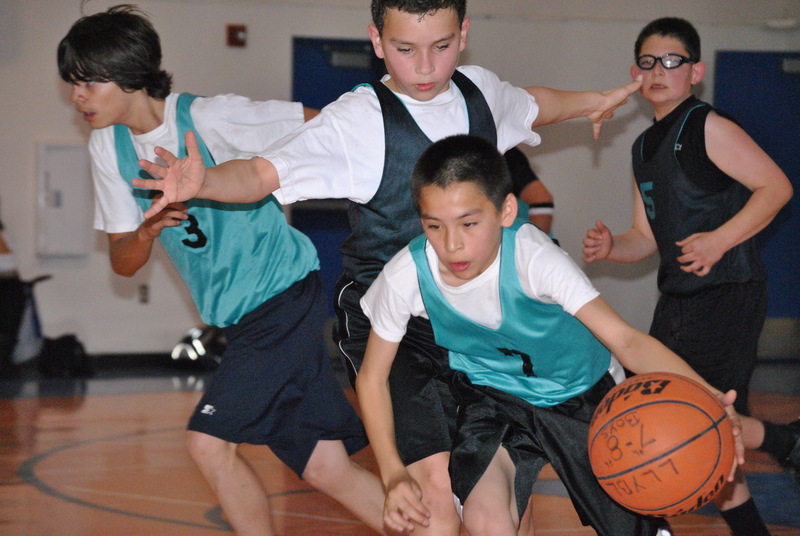 Here’s my best sports shot so far with my new Nikon D3000 – my first foray in to digital SLR. That’s Cool Breeze on defense. This entry was posted in digital moms, photography and tagged digital camera, digital mom, digital SLR, Nikon D 3000, Nikon Learn and Explore, photography tips. Bookmark the permalink.